Piers Norris Turner is Associate Professor of Philosophy and (by courtesy) Political Science at Ohio State University. A co-editor of Karl Popper, After The Open Society: Selected Social and Political Writings (2008), his articles on John Stuart Mill’s moral and political philosophy have appeared in a number of leading journals, including Ethics and the Journal of the History of Philosophy. Gerald Gaus is the James E. Rogers Professor of Philosophy at the University of Arizona. 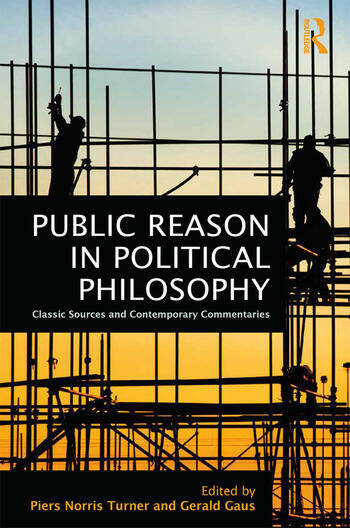 Among his books are The Order of Public Reason (2011), On Philosophy, Politics and Economics (2008), Justificatory Liberalism (1996), and Value and Justification (1990). His most recent book is The Tyranny of the Ideal (2016). He was a founding editor of the journal Politics, Philosophy, and Economics and, with Fred D’Agostino, edited The Routledge Companion to Social and Political Philosophy (2013).